BREAKING NEWS! I am going to add Hobby Topic more often throughout the week when more products are previewed or released. That way you can leave your opinion on each of these products along with other hobby topics as well. I have also changed the POST TITLE and added what the topic is about. I have also added info on the products when the topic is about them. This should be fun!! What are your guys thoughts on 2015 Panini Prizm Baseball? Do you like the design? Do you like all of the parallels it brings? On-card autos? 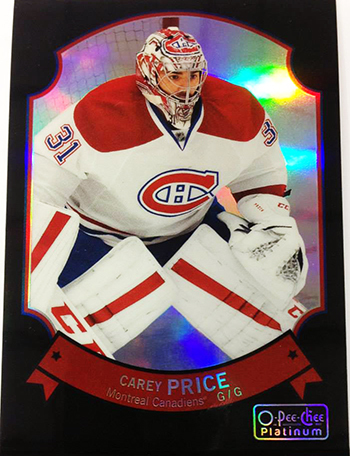 What else would you like to see in Prizm or Panini change about the product? And any other thoughts you have. Here are some images and information for you to nibble on to help with this discussion. Each hobby box of 2015 Prizm Baseball will have six cards per pack and 12 packs per box. There will be two autographs, nine Prizm parallels (including three numbered versions) and an assortment of inserts featuring two Passion, one USA Baseball, one Diamond Marshals, one Fresh Faces and one Fireworks. Upper Deck has always been known for their sweet photography on their base cards and for being hobby firsts in innovation. They to me are also known for putting out some of the most impressive non-photography products in the 90's as well. 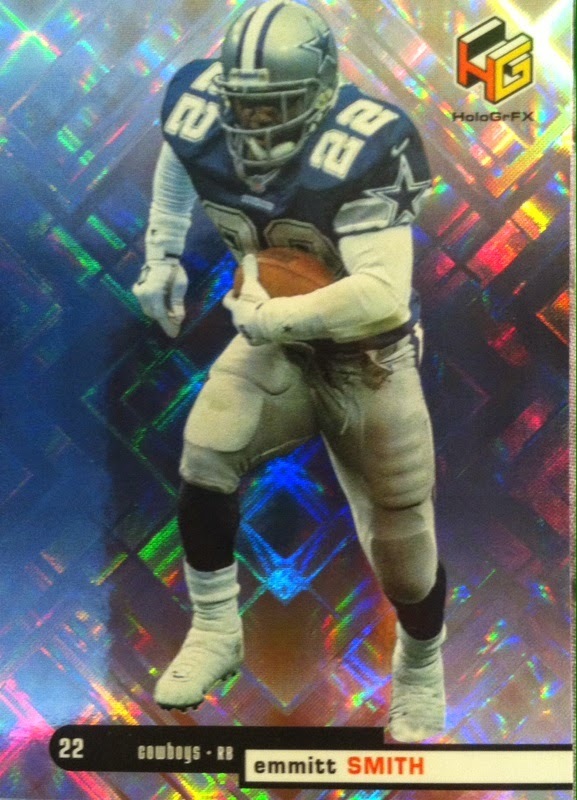 One immediately comes to mind in Upper Deck HoloGrFX. 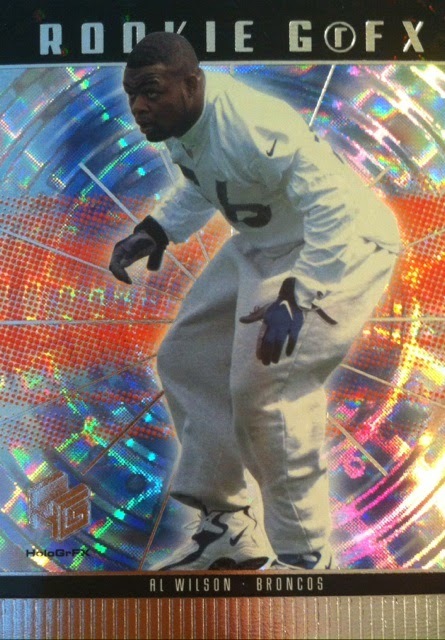 In every pack of 1999 Upper Deck HoloGrFx is 3 cards. 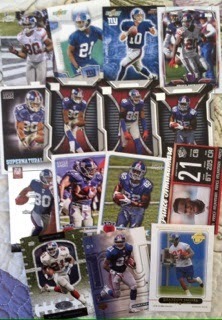 I found my packs at Jammin JDcards for only $1.25 and you can to right HERE. 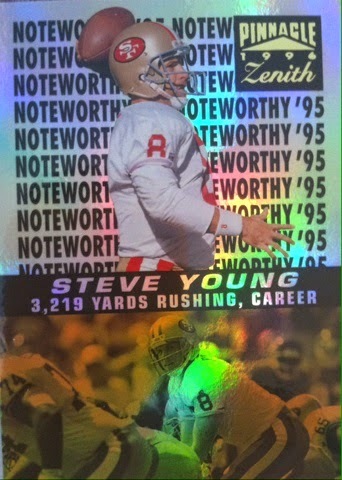 The base cards were a bit thicker than normal and had a very nice "square" holographic background design to them. I will kick it off with my best player hit from the pack lot. 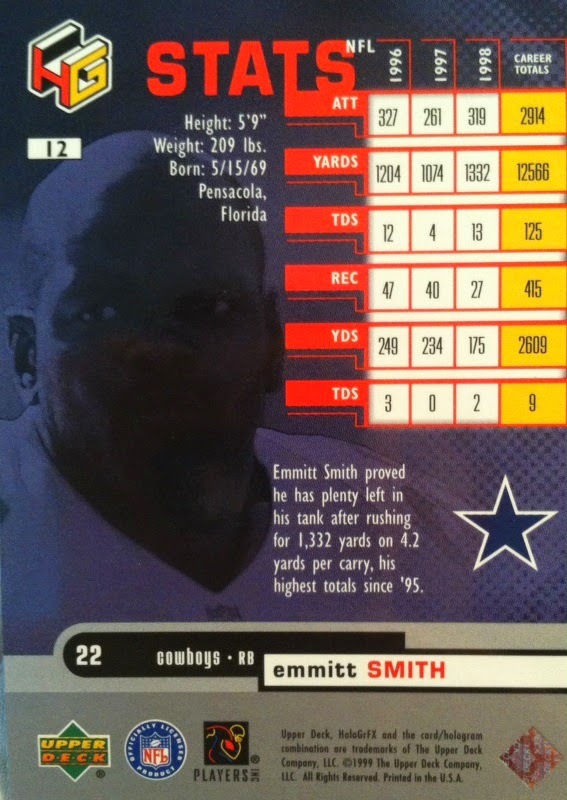 As a Giants fan, I cringe at the sight of Emmitt after so many years of abuse to my team. But, as a collector, I smile. 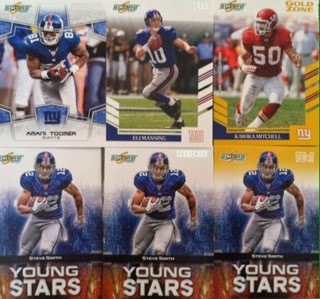 Rookies that fall 1:3 packs. I didin't care much for the photo they chose for this one however. It makes him look like he was trying to find a spot in the quantum leap swirl to drop off a number 2. 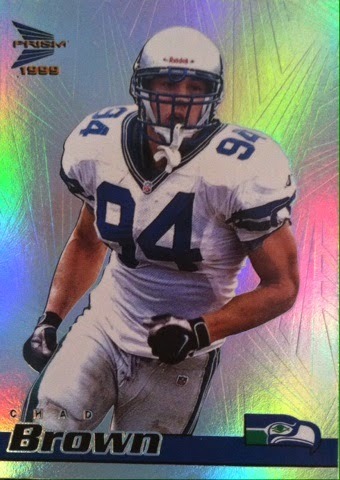 A nice insert pull of Troy Aikman. These fall at 1:4 packs. And the bigger boom of the lot. 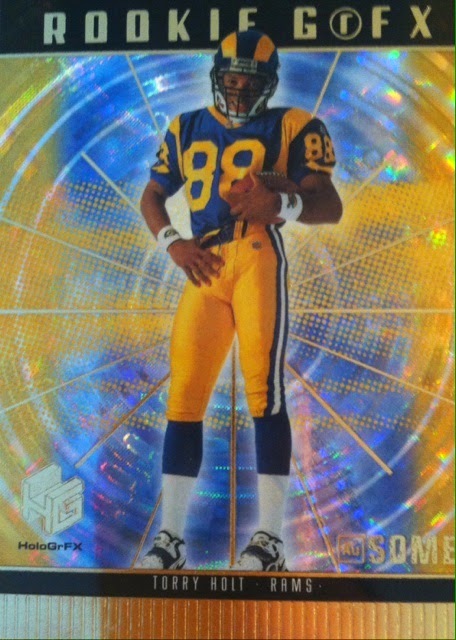 1:17 gold auSOME parallel Rookie FrFX of Torry Holt. This was a great pull! I need to go back to Jammin JDcards for some more! 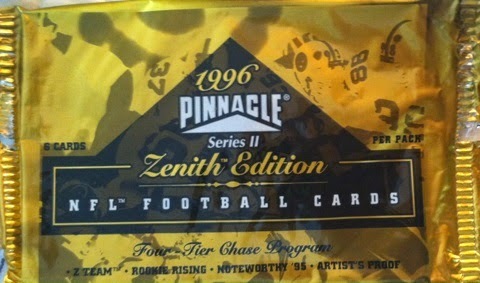 In 1996, Pinnacle released a product that had a high-end feel to it. One that I really enjoyed and couldn't get enough of my hands onto. One that I pulled one of my biggest hits out of in the 90's. What am I talking about, I am talking about 1996 Zenith Football. 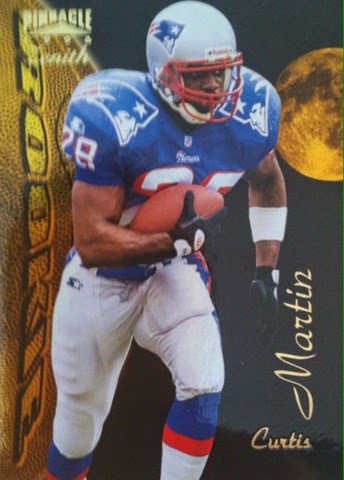 Every pack of 1996 Zenith football contained 6 cards consisting of veterans and "rookies". I put the "" around the rookies because Zenith called the rookies from 1995 rookies in this product. 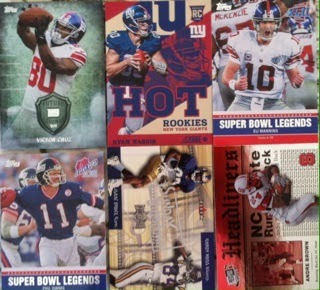 I found my packs at Jammin JDcards for a crazy $1 a pack!!!!! Back in the day they were close to $5. You can check out them HERE. There were three different base card designs. The cards were printed on a thicker cardstock and the base cards just had this elegant design and feel to them. This was my favorite from the packs. 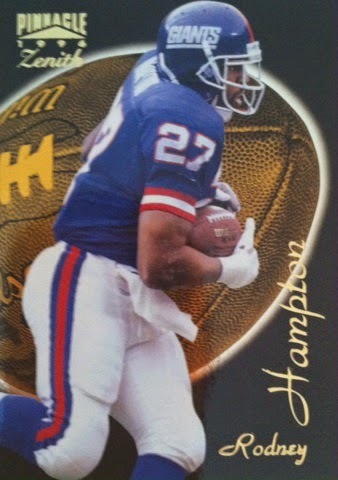 Of course I would choose one of my favorite ALL TIME Giants. And the 1995 rookies. Nice looking design here as well. I already dig the base cards in Zenith, but something that excited me even more were the inserts. There were some beautifully designed ones such as these. Noteworthy '95 that fell 1:12 packs. I pulled two great players as well. And while I have you reading this, I will tell you about my best pull from the 90's that came in this product. Once at a card show, I was getting ready to leave when something told me that I needed to go back in and pick up two more packs of Zenith. So I did. I got back out to my car and opened them.....BOOM! 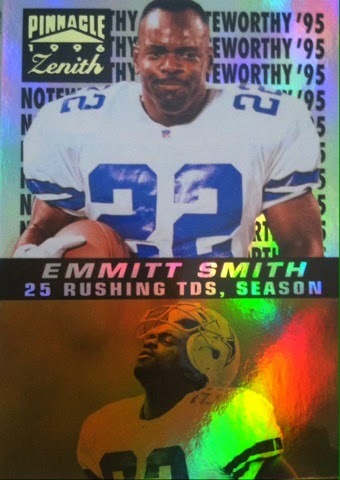 1:72 odds and I pulled a 1996 Zenith Z-Team of Emmitt Smith! The card was a huge hit at the show and I received many offers for it immediately. The bad part is that I took one. I regret it a bit now and wished I still had the card which by the way is on my Want List. 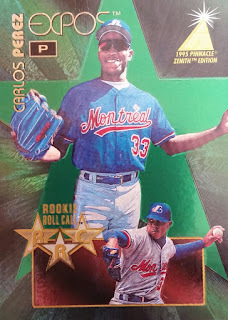 As for this break goes, the trip down memory lane, add on the nice base cards which added a few more Giants to my PC, and you add on the two nice insert pulls and I felt really satisfied with this break and once again this is another 90's product that left me craving for more. 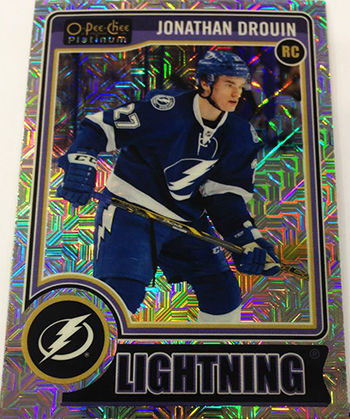 What are your guys thoughts on Upper Deck's new upcoming hockey card release 2014-2015 O-Pee-Chee Platinum? Do you like the design? Is this something you would like UD to expand to other sports with? Is there something you would improve about it? Here are some images for you to nibble on to help with this discussion. I would question you as a collector if you were not attracted to this card. 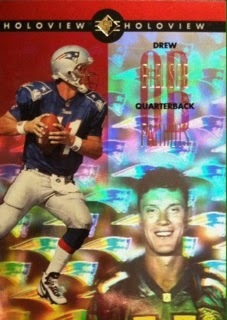 Upper Deck always put out nicely done hologram cards especially as inserts in the 90's. 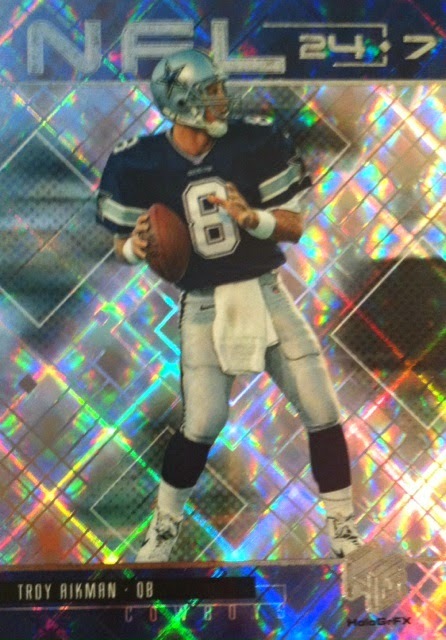 In my opinion, other than the Spx products of the late 90's, the 1996 Holoview insert was the most impressive of the hologram family. 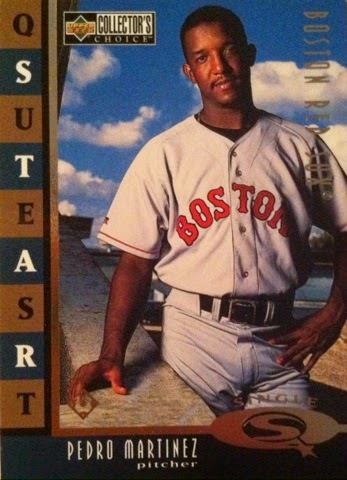 Once again it's something I wished Upper Deck would bring back. Of course they would need an NFL license (or MLB and NBA) first and that is something that all of us can only dream about for now. 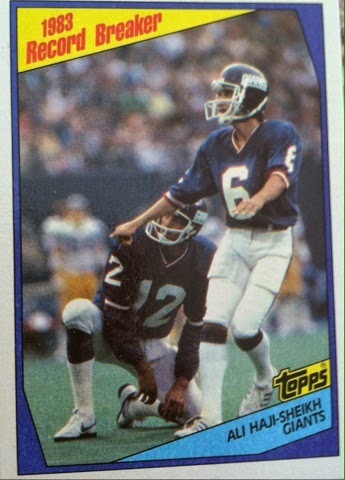 But, while we are dreaming of Upper Deck and NFL again, Upper Deck already put these out for our enjoyment. Go pick yourself up one, you will not regret it. What is there not to like about this card? 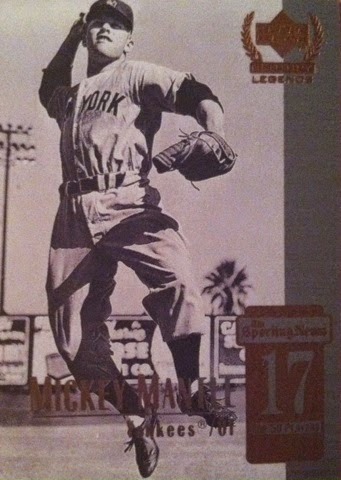 Great photo, Nicely designed card front and back and the obvious part, IT'S THE MICK BABY! 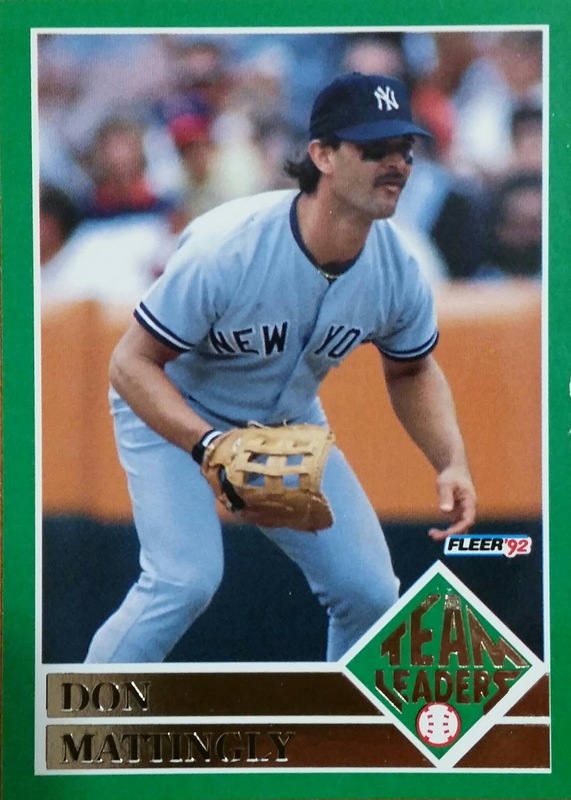 I am glad to have this apart of my Yankees PC. 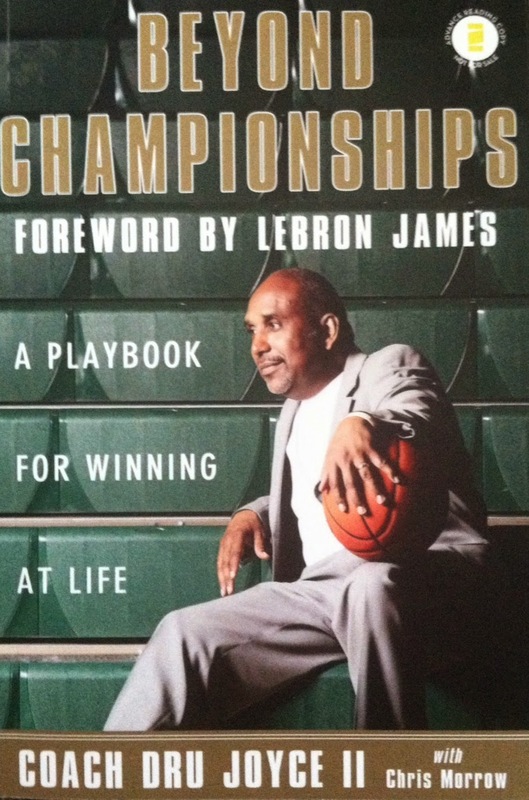 BOOK REVIEW" Beyond Championships: A Playbook for Winning at Life AND CONTEST!! Most of us spend times daily trying to figure out situations and troubles in our lives. This leaves some of us searching for answers and where to go next. It's almost like we need a "playbook" in life to know what the next "play" needs to be. Well, that's where Beyond Championships comes into play. 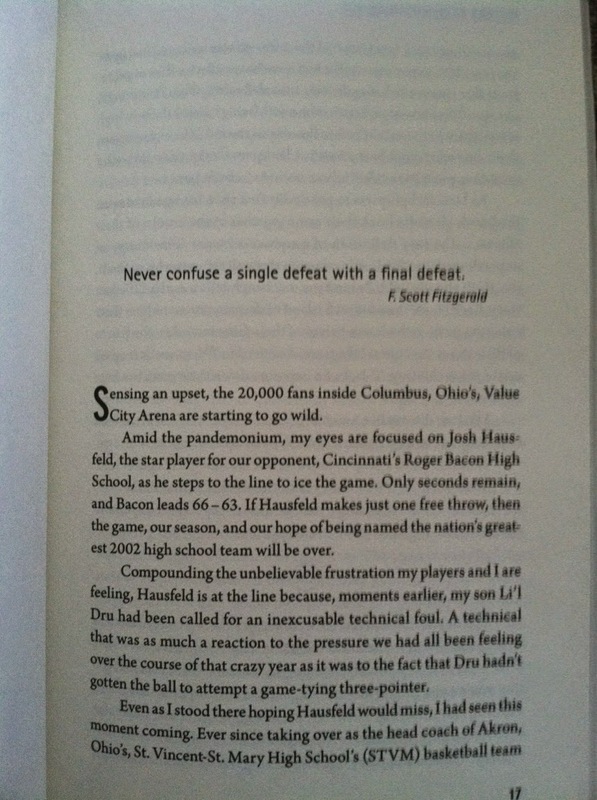 Beyond Championships is not like all of the other "life changing" books I have read before. The 9 principles that Coach Dru Joyce II lays out are relatable to most of us and all of them can be applied to any situations in our lives no matter what is going on. There is no other "playbook" like it in my opinion. These are proven outlines that will help improve you in all areas of your life. 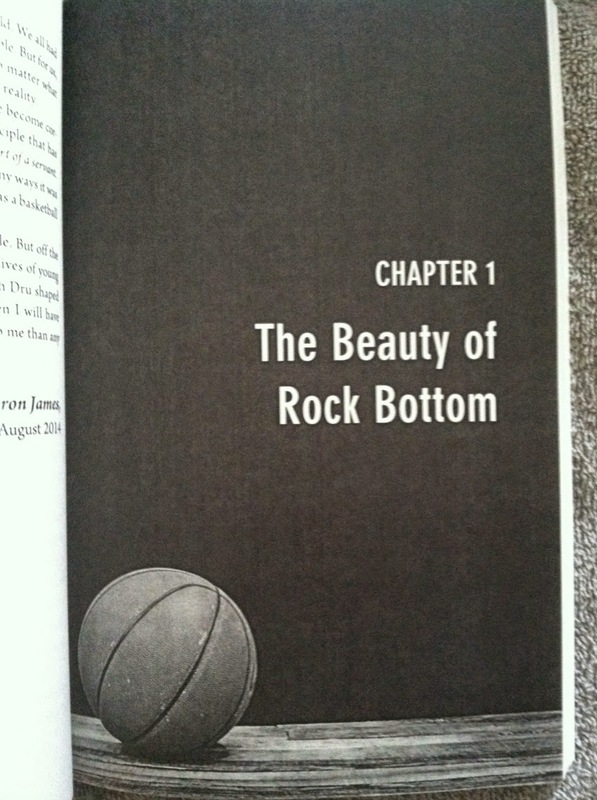 The book is broken down into 10 easy-to-read inspiring chapters starting with The Beauty Of Rock Bottom and ending with Dare To Dream. The chapter titles alone will take you in and grab your attention. Without giving away too much of the book (cause honestly, then you wouldn't give it a much needed read), between the covers this book has tons of useful insight that could be life changing. I couldn't set it down once I started. Was a blessing to read. If you are looking to help improve your life in many ways or need a present for someone who needs some guidance, I strongly recommend this book. Now onto another positive message, I am giving a copy of this book away thanks to Family Christian. But, if you don't happen to win, you can still find this life changing book HERE. Now onto the giveaway, this is as easy as it gets. Thanks again goes out to Family Christian for providing the prize and good luck to all that enter!! Women like shiny things like Diamonds. Collectors like shiny things like refractors. Since I am not a woman, you know which of those two I like. 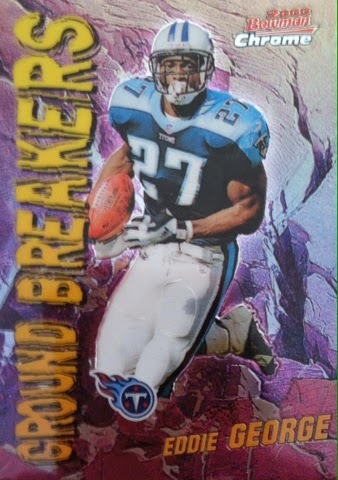 That's what led me to breaking a pack of 1999 Prism football. 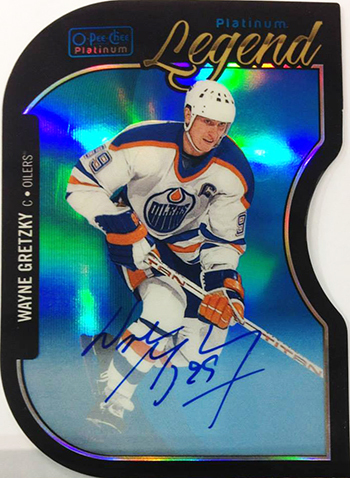 Shiny is one of many words you can use when viewing these cards especially up close. This is something that Prism is known for always bringing. 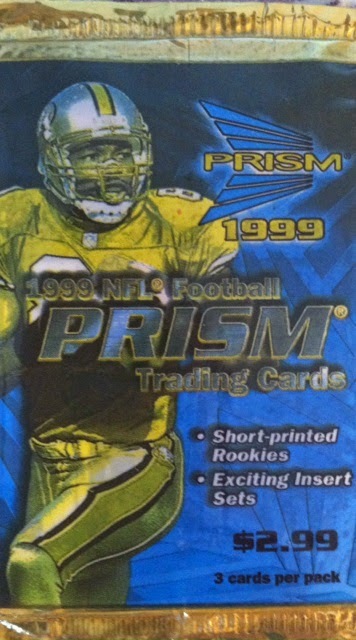 In each pack of 1999 Prism Football, there are three cards. Yes, I said three. 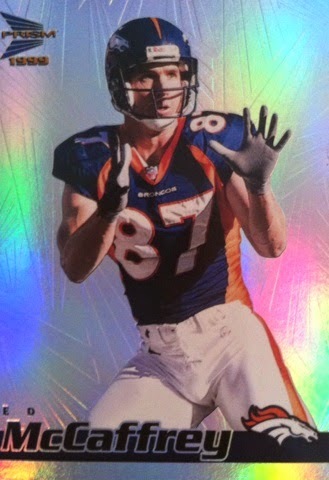 But all three glisten like refractors with the rainbow foil and look even nicer up close. I picked up this pack at Jammin JDcards for $2. Well worth the risk for me knowing that they were $2.99 back in the day. You can find these located HERE. I didn't hit any inserts or pull any rookies, but the base cards alone is almost like pulling an insert. Heck, they look better than most inserts put out now-a-days. Player 1, LB Chad Brown from the Seahawks. 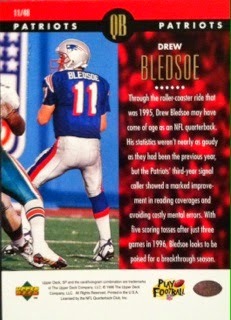 I remember watching him play and how underrated he was. I was always hoping he would find a way on the Gmen but never did. And I think we all remember what a beast Mr. 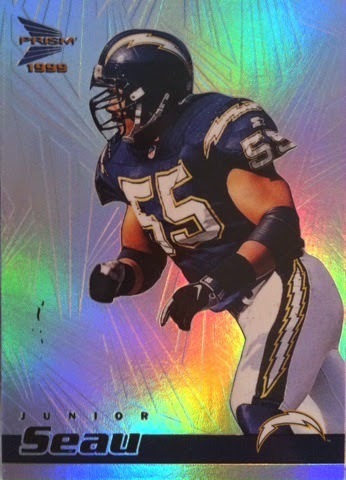 Junior Seau was. 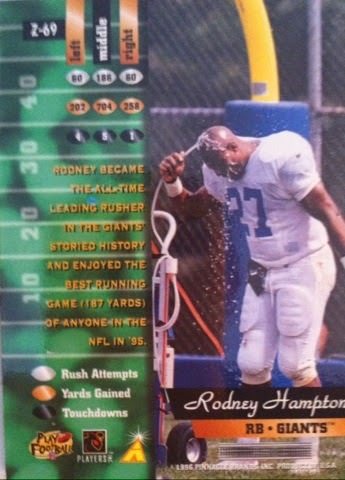 Guy tore it up for some pretty bad Charger teams in the 90's before landing with the Patriots later on in his career. Overall, I felt my $2 was well spent. Some of you may argue with that, but I also throw in the fun aspect which is not something a lot of collectors think about or consider in today's products. It's all about the hits. Not back then, there was a fun aspect and Prism was one of the ones that brought it. 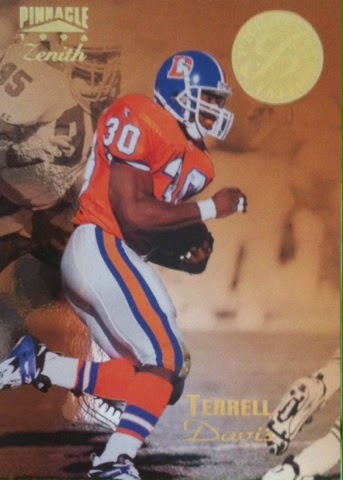 For a few weeks 90's Niche Football Card Blog and I have been working out a trade. What started out as a small few cards for a small few cards, all of a sudden blew up. He received my mail day last week and I got mine on Monday and boy was I blown away. Before continuing on and showing you the goods, I must make note that NOT all cards will be featured in this post. He packed a nice box full and included many 90's inserts that I will include in my 90's Flashback Posts. I apologize but you will just have to be patient and wait for those posts :) I will of course give him a shout out when those are posted. 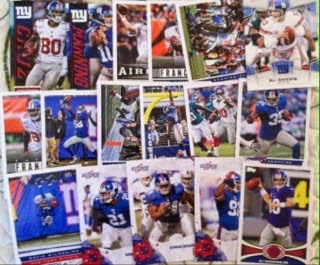 Tons of NY Giants base cards rollin out! Try saying his name 5 times fast! The shine of Finest and Platinum! Rookies including a few Demontre Moore. I hope this guys turns out dominant this year. The Giants are really going to need him to step up. 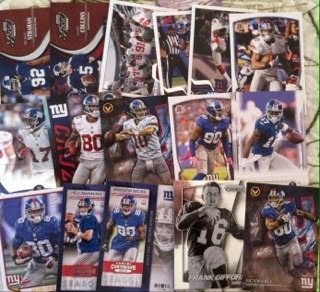 More for the Nassib PC. All new! My boys Odell and Dre Williams! 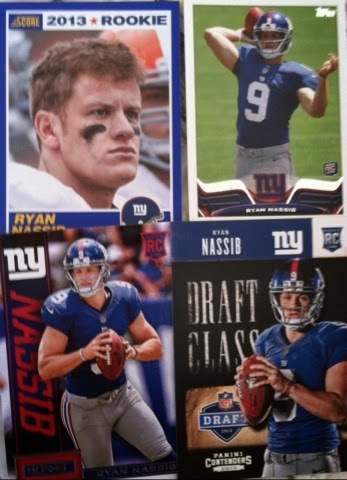 Another Nassib and some more really sweet inserts. 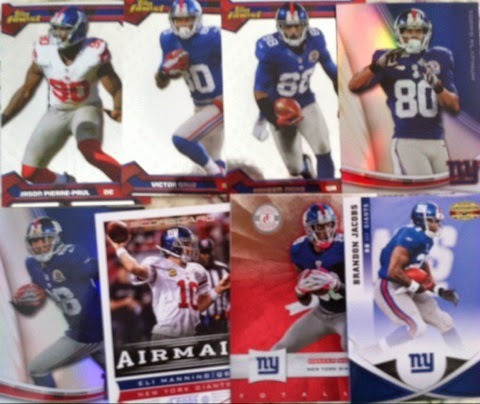 More inserts including a "rainbow" of Steve Smith. I wonder how far that guys career could have gone if he had stayed healthy. He put up some nice productive seasons for the Giants. THESE LOOK AWESOME!! I tried my best to capture them on my camera but it didn't work. They shine like a refractor! Ignore the horrible Patriots symbol and replace it with beautiful NY blue! Welcome to NY Mr. Vereen! I was blown away by this mail day. Especially the stuff I haven't shown off yet. 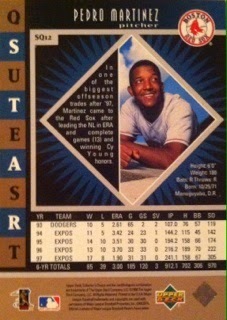 If you are 90's fans and especially enjoy 90's inserts, you will enjoy when I post the rest of the cards. So stay tuned!! 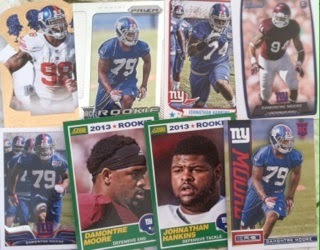 Thanks again to Bryan over at 90's Niche Football Card Blog and I look forward to our next trade! If you haven't checked out his blog yet, please do so! One of the things I have been trying to do the last few months has been visiting other blogs, checking them out and adding them to my blog read list. Actually, if you are reading this and I don't have you and you don't have me, just comment below with your blog link and you will be added! 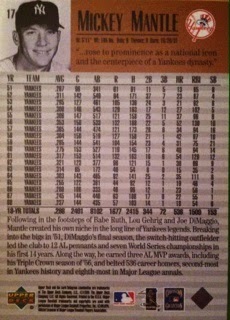 One of my new favorite reads is, Baseball Card Breakdown. Recently he was hosting a contest for some pretty cool items and luck of the draw had me as the winner. Here were the items that he mailed me. I don't have either of these which really surprised me since I have a lot of them. 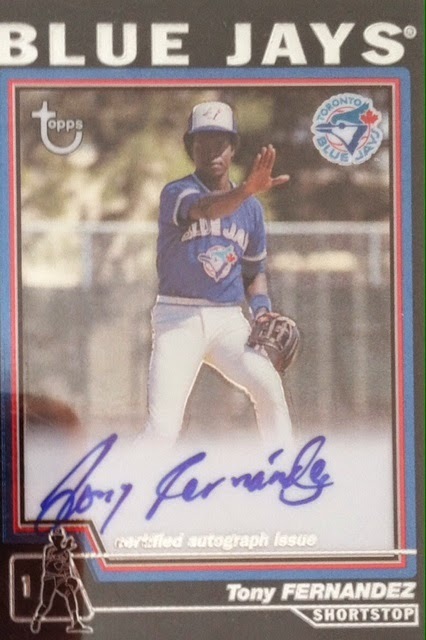 Tony Fernandez auto. I like his signature. 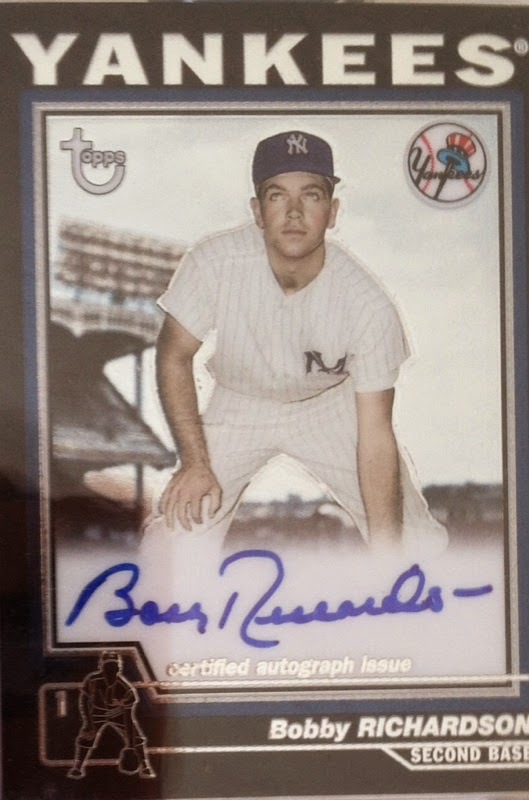 And same goes with my first Bobby Richardson auto. These guys know how to sign cards and make them legible. None of this TF or BR or scribble scribble. Just straight up nice clean autographs. Also included in this really nice mail day were these two Ken Griffey Jr magnets that he had made up. They are even hand numbered! These are wicked cool and will look great on my desk in the man cave. 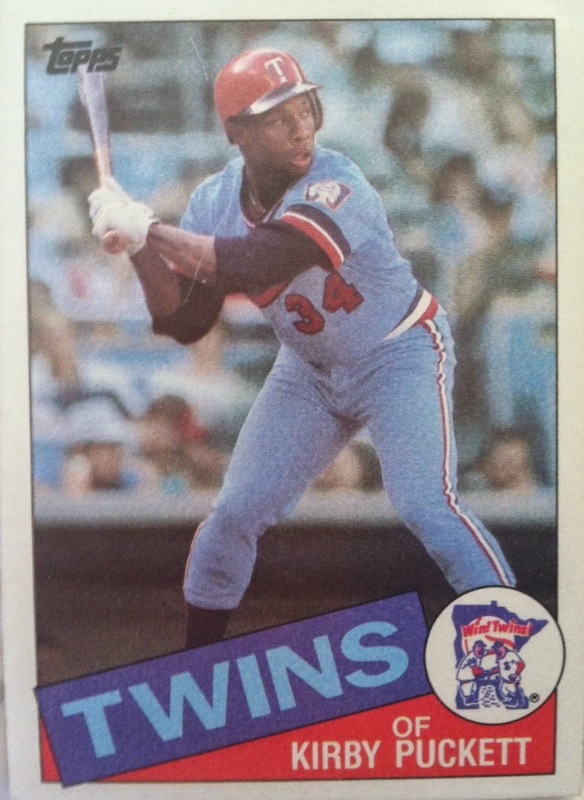 Here is the 1989 Fleer design. 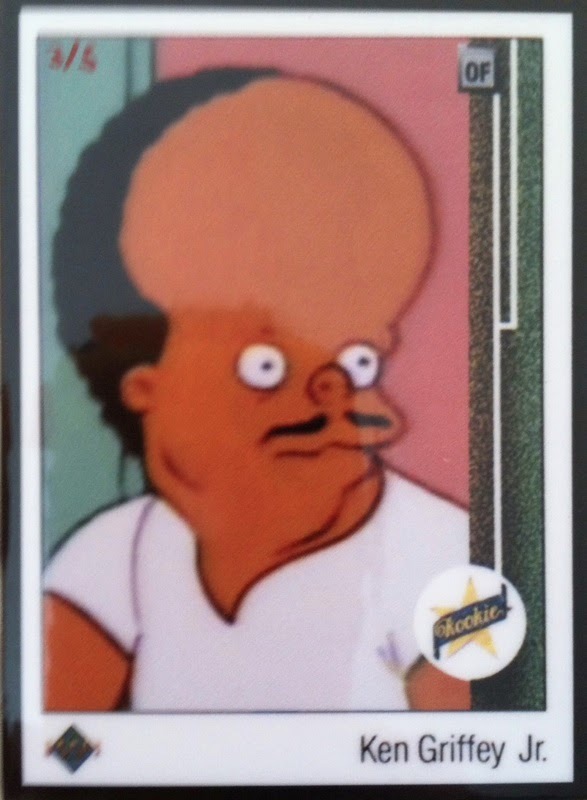 And a cool 1989 design with a Griffey pic from The Simpsons. Some great items added to my PC overall. 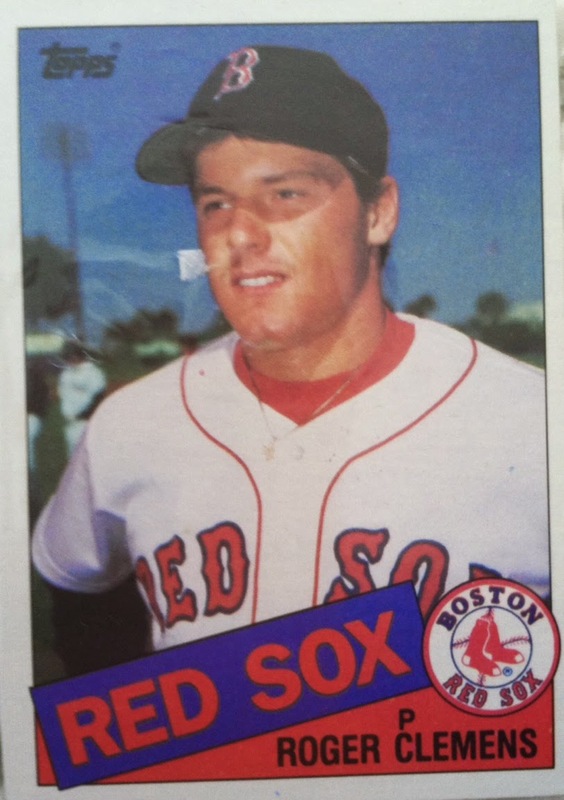 If you haven't checked out Baseball Card Breakdown please do so. It's a great read! Thanks again Baseball Card Breakdown for this awesome mail day! For a low end product, I think StarQuests were some of the more fun inserts in the 90's. Some years looked better than others, but still, they all were fun to collect. 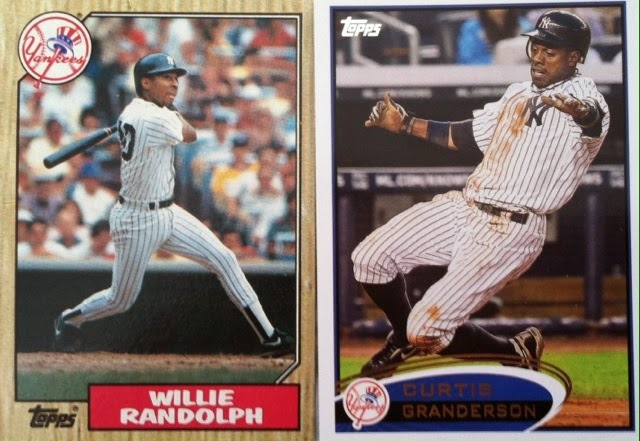 Recently, Off Hiatus Baseball Card Blog celebrated their 1 year blogversary. As a way to celebrate, he sent out many packages to readers who listed off what they collect or would want for a mail day. 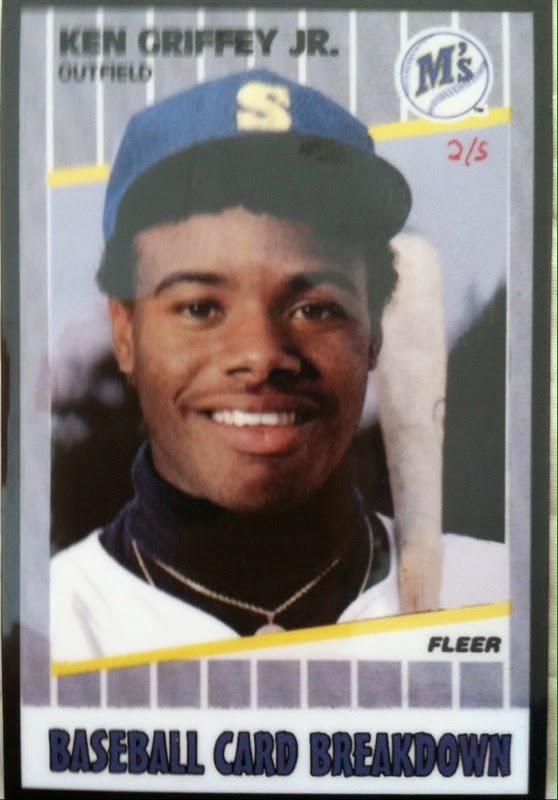 I of course listed NYY and Ken Griffey Jr.
Later that day, he emailed me asking if I would prefer something off my most wanted list instead of the Yankees and Griffey. If not, he would still send Yankees. I couldn't say no to the most wanted list. My most wanted list is my main wants in the hobby and if I have a chance to knock some cards off that list, I will take it any day. 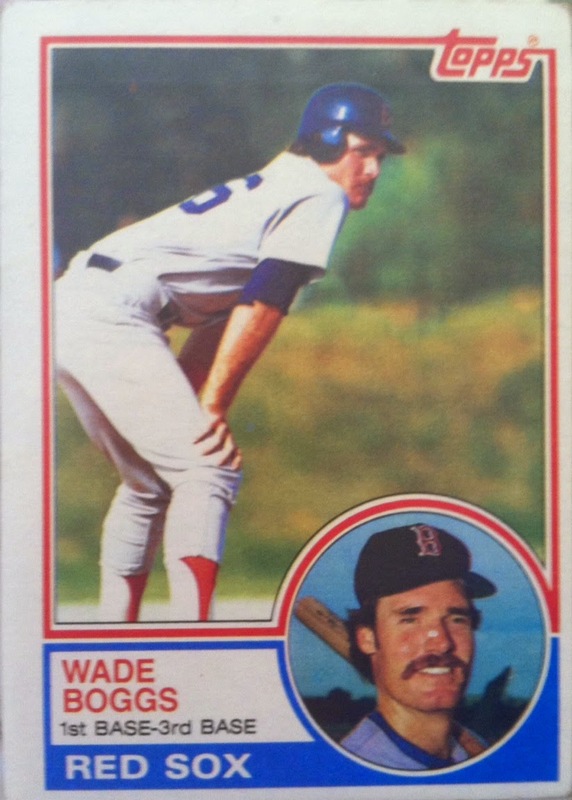 Wade Boggs. You could technically call this a Yankees PC add too. Same thing for "The Rocket"
Always wanted a Kirby, I mean, who wouldn't. The guy was one of the greats. 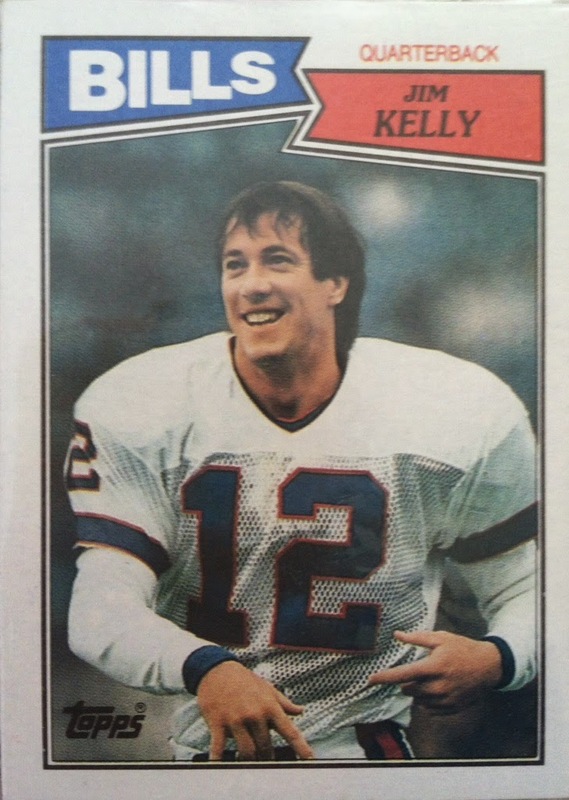 And finally, Jim Kelly's Rookie. Now that I have Kelly in hand, only Marino and Young remains for rookies I need from that era. Awesome mail day overall and a big thanks goes out to Tony for his generosity. If you haven't checked out his blog yet, you are missing out. Go give it a view today!! Grady M Mail Day Part 5/7: NY Yankees! Grady M Mail Day Part 3/7: HOCKEY! #SCC3YR! Happy Blogversary Sport Card Collectors!